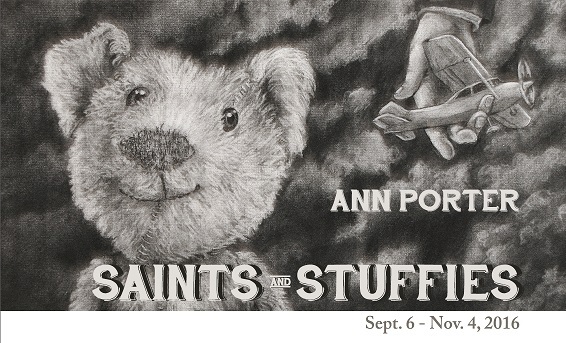 Contemporary artist Ann Porter will display her artwork at the “Saints and Stuffies” exhibit in the Boswell Hall Corner Gallery at North Idaho College from Sept. 6 to Nov. 4. Porter will host a gallery walk of her work at 10:30 a.m. Tuesday, Sept. 6, followed by a slide lecture at 1 p.m. in Boswell Hall Room 146, and an opening reception from 5 to 7 p.m. in the Boswell Hall Corner Gallery. Porter divides her time between North Idaho and western South Dakota, where she is a professor in the Art Department at Black Hills State University. She began teaching at BHSU in the fall of 2003. She has taught a broad range of classes, from Art History to Sculpture to Drawing to Art and Technology.